Sister Denis Marie Murphy recently celebrated her 23rd year of service at Emory Saint Joseph's Hospital. A Savannah, Ga., native, Murphy has worked in a variety of important roles at Emory Saint Joseph's and is one of four Sisters of Mercy continuing to serve the many patients and families at Atlanta's oldest hospital. Murphy's career at Emory Saint Joseph's began in 1991, when she began working as a chaplain. She spent more than 17 years in this role, which included comforting families in the cardiovascular intensive care unit (CVICU). "My work as a chaplain involved a lot of hands-on time with families," she says about the rewarding experience. Murphy's background in clinical pastoral education also includes work with the sick and homebound in a Birmingham, Ala. parish and at Mercy Hospital in Baltimore, Md. Today, Murphy is using these valuable skills along with her familiarity with patients and their families to work as a patient advocate. In this role, she helps families navigate the healthcare system and follows up on patient concerns. Murphy is frequently the first smiling face visitors encounter when they enter the main lobby of the hospital. Along with fellow staff and Auxiliary volunteers, she answers questions from families and visitors and provides any other type of assistance at the front desk. 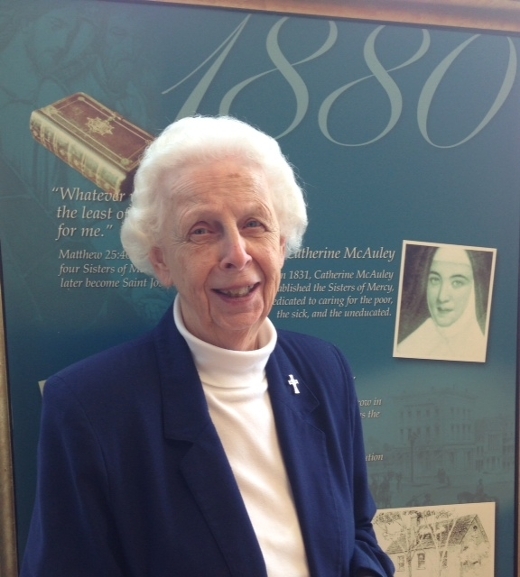 Prior to her work at Emory Saint Joseph's, Murphy earned her masters degree in religious studies and was an educator for 24 years, including 14 years at Our Lady of the Assumption Catholic School.